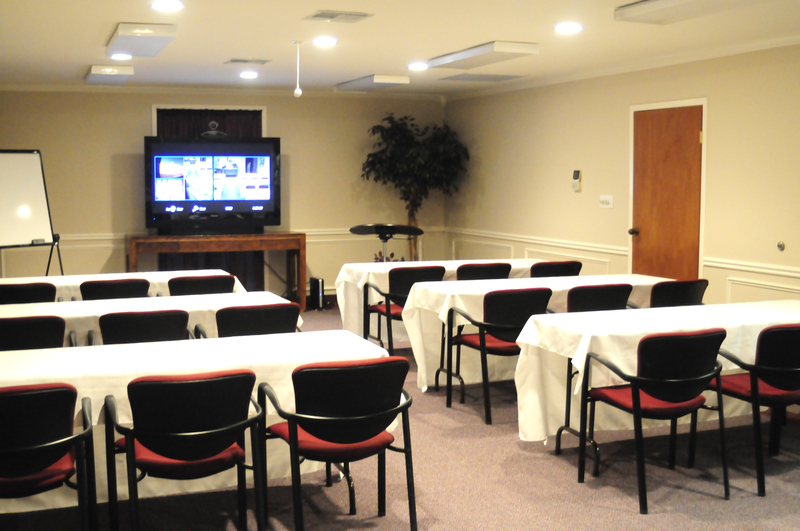 Our Meeting and Conference facility is made up of two meeting rooms and one conference room. Our state-of-the-art meeting rooms and conference center is designed to fit your needs with a comfortable environment. The Cyprus Room is ideal for interviewing prospective employees or perfect for real estate closing in an intimate setting that creates the right impression. The Cyprus Room is a comfortable fit and seats up to 4 - 6 people with ease. All meeting rooms are furnished with Water and Coffee. 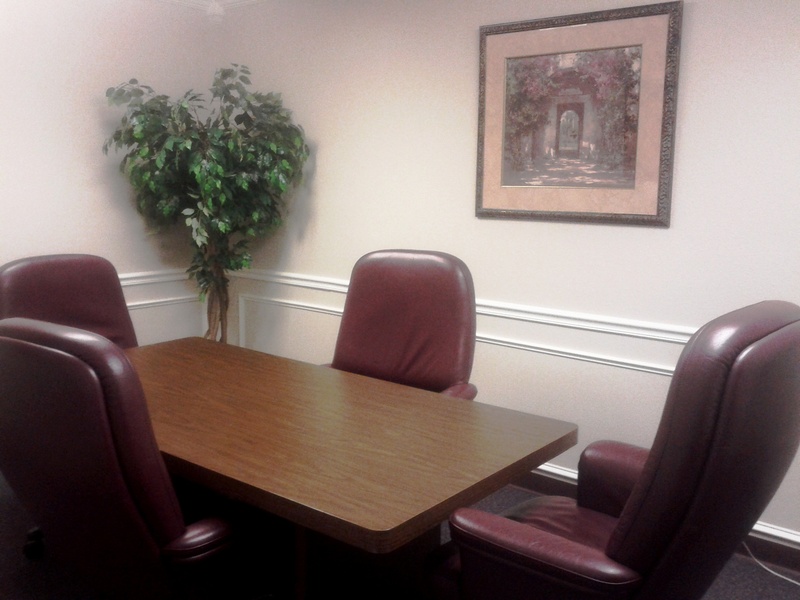 The Tuscany Room is a spacious, comfortable and well equipped room that provides the client the perfect atmosphere for board room meetings, depositions, and is richly equipped with telephone, video and Video Conference capabilities. Reduce travel costs by up to 75% by connecting with colleagues and clients over a secure video connection. 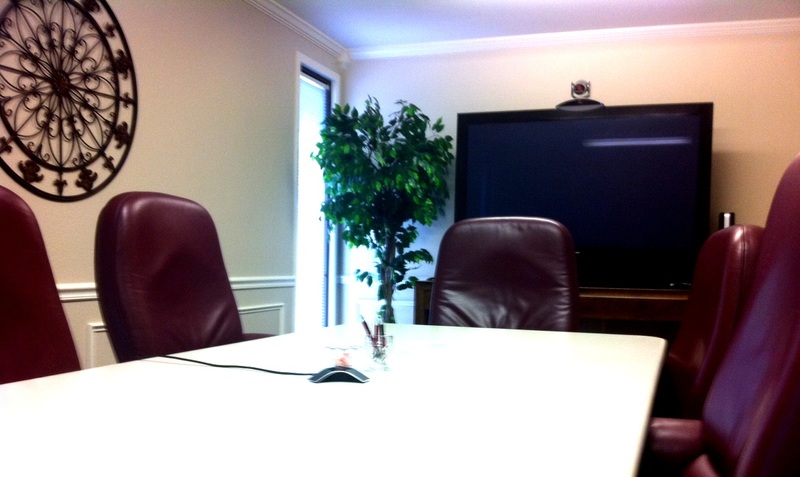 We can assist with every detail for your video conference. The Milan Royale Room is our largest and most technologically advanced meeting and conference facility. This is the perfect facility for your off-site meetings and conferences. Meet in an attractive, professional room that facilitates your agenda with state-of-the-art equipment. The Milan Royale is an ideal setting for all your conference or training needs and is equipped with state-of-the-art presentation technology. The Milan Royale will seat different styles to accomadate your needs. Seating begins at 10 and can go up to 50. 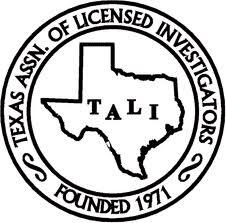 Client Information Request ​or download the CTL Reservation Form by CLICKING HERE.